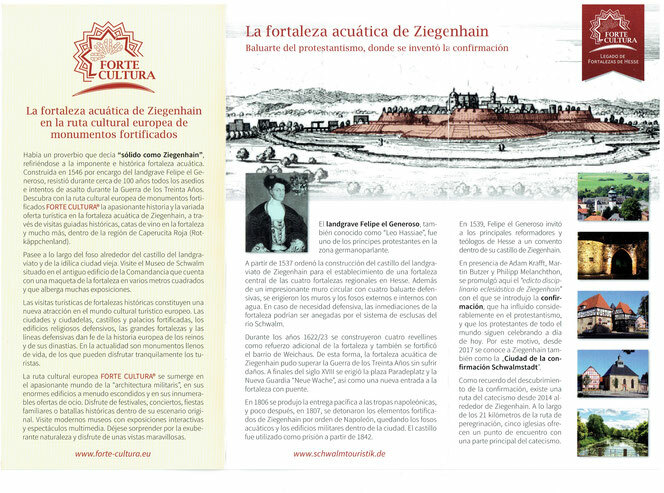 The Museum der Schwalm, the Schwalm Touristik and the City of Schwalmstadt (Ziegenhain) are now members of Forte Cultura a cooperation for European Culture Routes and Places of Fortified Monuments. Our summer 2019 exhibit will feature white work embroidery from the last two hundred years. Come and visit us between June 20th and August 11th, 2019 and enjoy the largest White Work Embroidery exhibit in Germany. 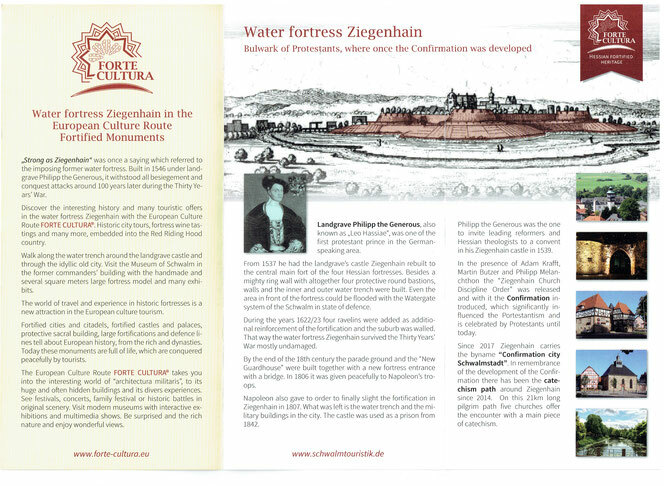 The Museum der Schwalm is located in the historic part of Ziegenhain (Schwalmstadt 2) in the former governors’ building from 1363. White work embroidery and its development throughout the last 200 years. The colorful ethnic dresses of the region, called Tracht, are displayed in individual sections, as well whole rooms. Short film clips explain the rich heritage of the region. Regional furniture, including numerous Brautstühle or bridal chairs add to the overall picture. Original paintings, drawings, and lithographs from national and international artists (including Bantzer, von Reutern, Grimm, Knauf, Lins, Beithan, Waentig, Mons) who resided once in the Malerkolonie Willingshausen, the oldest of its kind, can be enjoyed by the visitors. Adults: €5.00, incl. an English guide book. Admission is free for children under the age of 14. 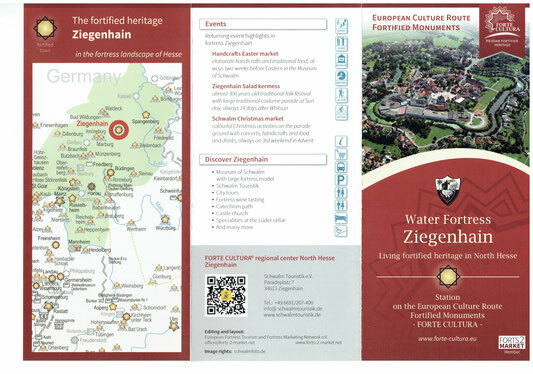 Guided tours in English (available upon request): additional €1.00 p.p. Closed Mondays, but guided tours are available upon request. 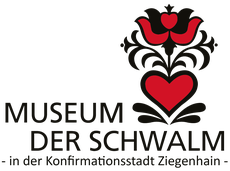 The Museum der Schwalm is part of the “My Card Plus” program of the Grimm Heimat Nord Hessen Tourism. Visitors can select from a wide variety of art books, postcards, and regional gift items. Furthermore, the shop sells patterns, and catalogue guides from previous white work embroidery exhibits, linen and pattern books, as well as art books from local artists (Bantzer, Kaetelhoen, Bogler. Knaus, Painters of the Willingshaeuser Malerkolonie).